There are many times in which fans and wrestling pundits can take shots at World Wrestling Entertainment for getting something in its booking “wrong.” It often seems like there’s more to complain about than enjoy when it comes to the biggest organization in the industry. However, after Sunday’s WrestleMania 35, there is certainly a lot of praise to give the company and leadership behind the scenes. In fact, this is a moment where everyone who consumes professional wrestling should sit back and applaud WWE for getting things right. WrestleMania is usually considered a “babyface” event, meaning that the “good” or “heroic” wrestlers win out more than not. That’s never fully the case, and indeed faces such as Kurt Angle, The Boss-And-Hug Connection, and Aleister Black and Ricochet left MetLife Stadium on Sunday night without victories. But the three big storylines going into the event all concluded with what will be known as "WrestleMania Moments" – two of which were bigger than even WWE could have predicted at the beginning. First, there is the storyline involving Becky Lynch, Ronda Rousey, and Charlotte Flair. A year ago, Flair and Rousey were featured in major storylines that culminated in wins at WrestleMania 34. Lynch, on the other hand, was tossed out of the Women’s Battle Royal on the preshow of the event. From that point forward she took it upon herself to insert herself into the women’s title picture in a way that not only improved her standing in the organization but led to the historic moment of three women headlining the biggest annual wrestling show in the world. She’s now being compared to the likes of "Stone Cold" Steve Austin and Conor McGregor, but "The Man" is her own person, and she is creating a path that will likely change women’s wrestling going forward. Then there’s the storyline about Kofi Kingston, a man born in Ghana who became the first "black man" to hold the WWE Championship. Yes, Dwayne "The Rock" Johnson’s name should be included in this conversation, but there’s long been an issue regarding the way WWE recognizes his Samoan heritage on his mother's side, but has largely ignored his father's Black heritage. This is why The Rock isn’t often mentioned during discussions about famous black wrestlers in the industry. In fact, that narrative made its way into the storyline, helping to bolster WWE Creative's emphasis on the “historic” nature of Kingston’s win. 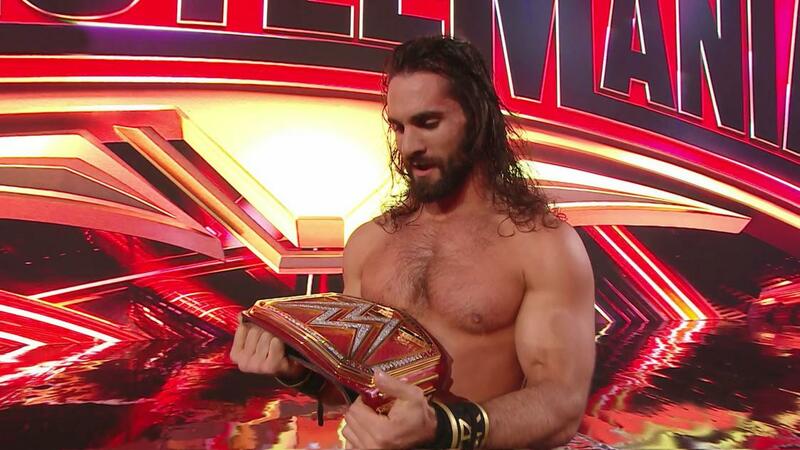 The third major storyline featured Seth Rollins defeating Brock Lesnar in less than five minutes of official action, bringing the WWE Universal title back to Monday Night Raw. This story didn’t have the same emotional impact as the other two, but it was an important moment for helping to bring stakes back to the weekly shows – something Raw had been lacking for years. WrestleMania 35 should be considered a major success. Even though the event was deathly long with issues up and down the card, the card's top three outcomes created memories that will live on in the minds of everyone in attendance. Plus, WWE will be able to harken back to those moments for inspirational themes time and time again. There are so many times when WWE Creative gets things wrong, but this event provided a much-needed breath of fresh air.